You will see some Fort Wayne carpet cleaning companies advertise steam cleaning and some advertise dry carpet cleaning. Most consumers are familiar with the steam cleaning process. Steam cleaning carpet entails gallons of soap and water sprayed onto the carpet before heated suction attempts to rinse and remove all of the dirt, soap and water. In essence, steam cleaning requires an excessive amount of water during the process so it would not be considered dry carpet cleaning. 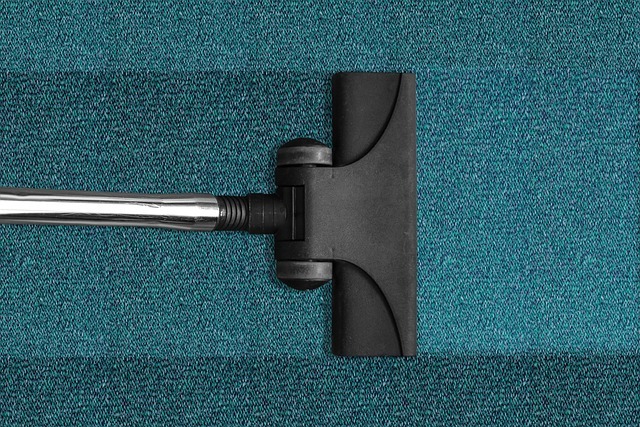 Dry carpet cleaning is a chemical-based approach to carpet cleaning using dry powders and chemicals to absorb the dirt, germs and toxins from carpet. Like you would assume, dry carpet cleaning uses almost no water and much less than steam cleaning carpet. There is a third option and that is the Chem-Dry carpet cleaning method. 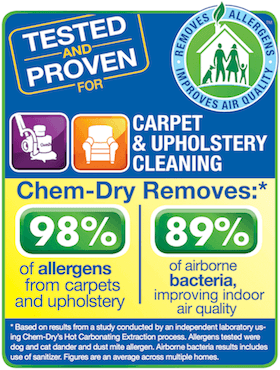 Some confuse Chem-Dry as a service that uses dry carpet cleaning and that is not accurate. Chem-Dry of Fort Wayne uses a process that is 80% drier than steam cleaning but it is not dry carpet cleaning because our carpet cleaning service uses no chemicals at all. So, if we don’t use soap like steam cleaning and we don’t use chemicals, what do we use? Chem-Dry of Fort Wayne uses an innovative cleaning agent called The Natural®. The Natural is green-certified so it contains no chemicals whatsoever. The solution is a mixture of carbonation and water. The mixture creates millions of tiny bubbles that permeate carpet fibers and lift dirt and bacteria to the surface. Because The Natural is not soap-based, it doesn’t need near as much water as steam cleaning to rinse and remove it from carpet, and because it is not entirely chemicals based, it doesn’t qualify as dry carpet cleaning either. This is why Chem-Dry of Fort Wayne uses the slogan, “Drier. Cleaner. Healthier.®” Our service is drier than steam cleaning, but its not dry carpet cleaning and our service is healthier than both because it is chemical-free. If you have more questions about stream cleaning, dry carpet cleaning or the Chem-Dry of Fort Wayne process, please call (260) 409-1138. Our customer service representative is happy to answer any and all questions or schedule an appointment.